Astrology should evolve and actually has evolved with time. 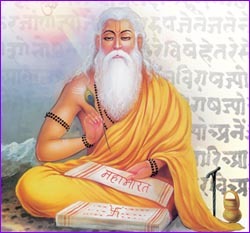 Although the basic original text was written by Sage Parashara but time and again other great Sages like Sage Bhrigu and Sage Jaimini provided much needed changes according to the time and era. It is believed that imaginary planets like Rahu and Ketu were not part of the original text of Hora Shastra but later included by Sage Bhrigu through Bhrigu Sanhita. Similarly, Hora Shastra doesn't talk much in detail about Nakshatra, which later became the base of Nadi Jyotish. Best example I can share is while reading Hora Shastra, I read about a particular planet position that if a person has it in his horoscope, he will marry thrice in his life. Then it gave the age at which those 3 marriages will take place. First marriage at 9 years of age, second at 18 years of age and third at 32 years of age. Now, in present day and age, people normally get married in their late 20s or in 30s, so this portion can be and should be overlooked. But at the same time, don't think that I am saying that whatever written in ancient text is irrelevant now and actually I just wanted to set the theme of this page through this post as in coming days we will learn how relevant this divine science is in our modern day life too.